This product is on backorder until May 1st. For immediate needs, please consider Attends washcloths as an alternative. 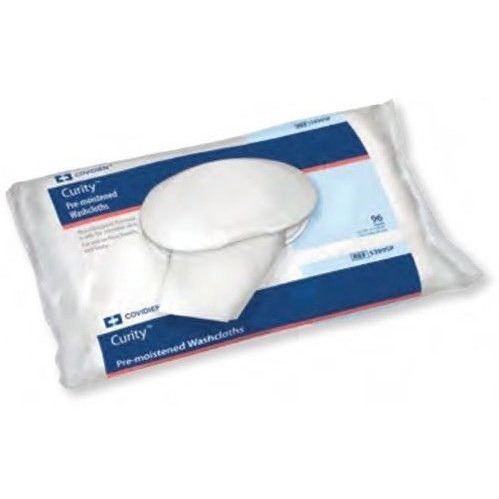 Curity wipes are soft, pre-moistened washcloths with a mild, alcohol-free, hypoallergenic, and pH balanced formula that contains aloe, vitamin E, and camomile that soothes the skin. The soft-pack is designed for one-hand dispensing for easy use and to help minimize cross-contamination. Our disposable washclothes are a cost-effective solution for baby wipes and incontinence. This pack includes 96 individual wipes.